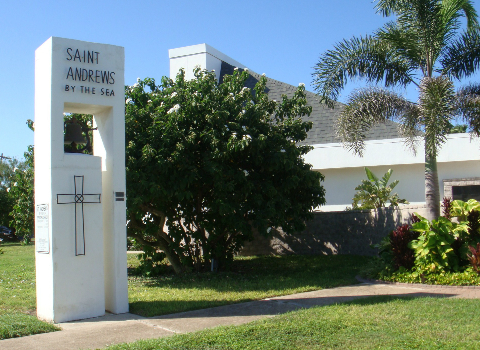 St. Andrew’s is located at 1022 N. Yturria in Port Isabel, Texas – at the point of Yturria and North Shore Drive overlooking the Laguna Madre. The congregation is a friendly, inviting mix of professional and retired, with a limited number of younger families with children. Our Friends and Family Directory contains one hundred household listings, and of that number, well over one fourth are Winter Texans. The balance are local residents, and a fair number of Rio Grande Valley folks who have condos on South Padre Island and attend when they are in residence there. 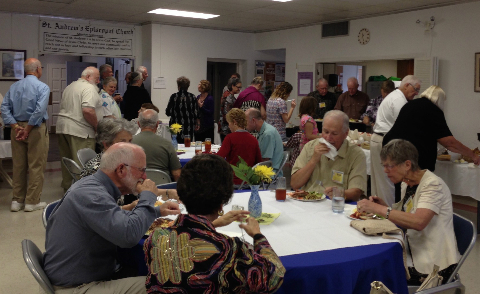 Many of these are members of the Episcopal churches in their hometowns. St. Andrew’s has a very dedicated, although small, Altar Guild, as well as Lay Eucharist Ministers, Lay Readers and Acolytes. These are all areas where we promote recruitment, and have training programs available, encouraging volunteers to participate in serving the church. 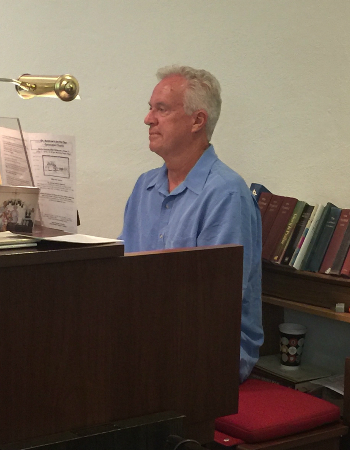 Our Director of Music Ministry and Organist, Dale Ziegler, provides music at the 10am service each Sunday, in addition to arranging for special numbers at holiday time and other events. He directs the choir which increases in number considerably during our Winter Texan season. We partner with the Fishers of Men Lutheran Church for combined practice sessions and when the occasion calls for additional voices, they attend our service. 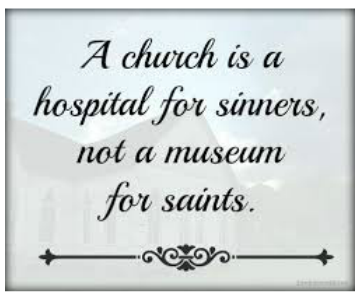 Our congregation consists of imperfect individuals who have joined together to help each other find love and peace through a better understanding of Christ’s love for us. We rejoice with each other when times are good, help each other when needed, and mourn together when bad times come. Someone is always here to help you up when you fall. You’d be a great addition to our “family,” so whether you’re a “local” or a visitor, please come and join us. We are saving a seat for you.